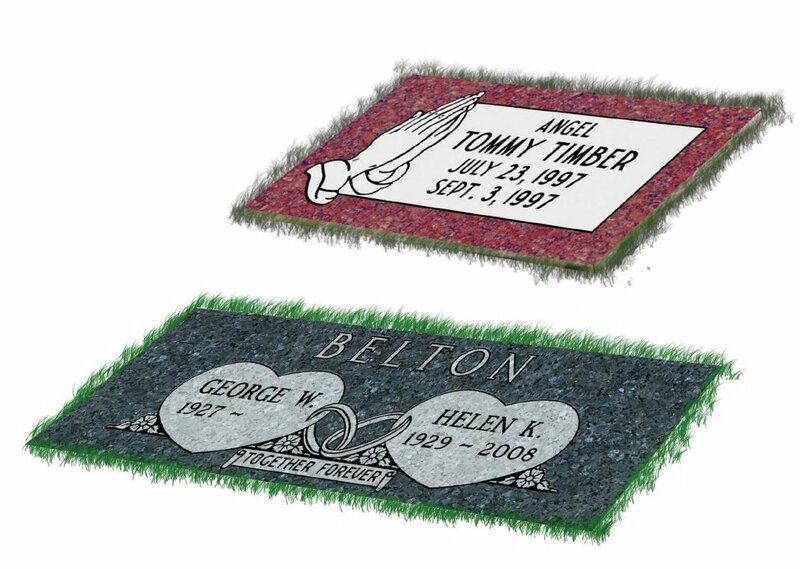 Memorial Products | Headstones | Memories In The Making, Inc.
Memorial Products from MitM, Inc. Welcome to Memories In The Making, Inc.
Get Exceptional Memorial Products From MitM, Inc.
Memories In The Making, Inc. provides exceptional service and support to families who are seeking memorial products within a 50-mile radius of Chicago. 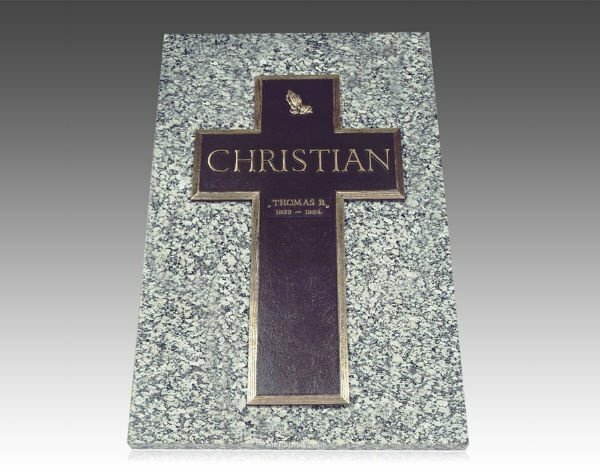 We specialize in headstones and monuments that are accepted by the Chicagoland Cemeteries in the area we serve. .
We also offer ceramic photos, pet memorials, cremation jewelry, urns, and pre-funded funeral and cremation plans. If you have recently experienced the loss of a loved one, please accept our deepest condolences. The President of Memories In The Making, Inc., Glenn Cygan, has over 30 years of experience, beginning in 1983 when he was working for a family-owned funeral home in the western suburbs of Chicago. In 1990, he graduated from Mortuary School and soon became a Licensed Funeral Director and Embalmer. Six years later, he found his true passion, creating and designing memorials and headstones. In 1996, he left the family funeral home to become a Memorial Counselor with a major cemetery and funeral provider. Since then, he has worked in and/or managed 15 different Chicagoland cemeteries. He has also managed the Pre-Arranged Funeral Program for 8 Chicagoland Funeral Homes. Over the years, we have learned what exceptional customer service truly means. 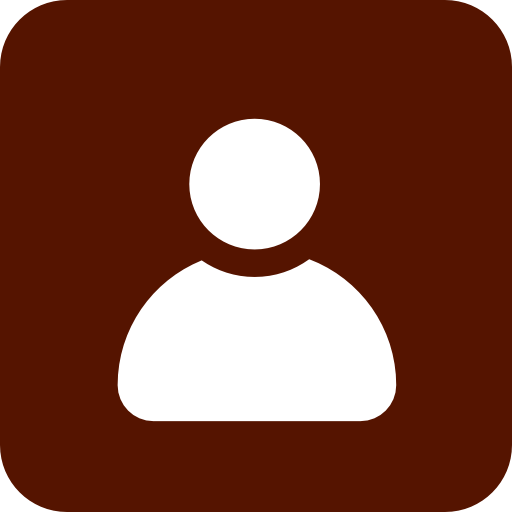 Having a well-known name or covering the largest geographical area is not what is important. The most important factor is making sure our clients and their loved ones receive the best service possible. We have committed ourselves to exceeding the expectations of each and every one of our clients. That is what exceptional customer service is about. 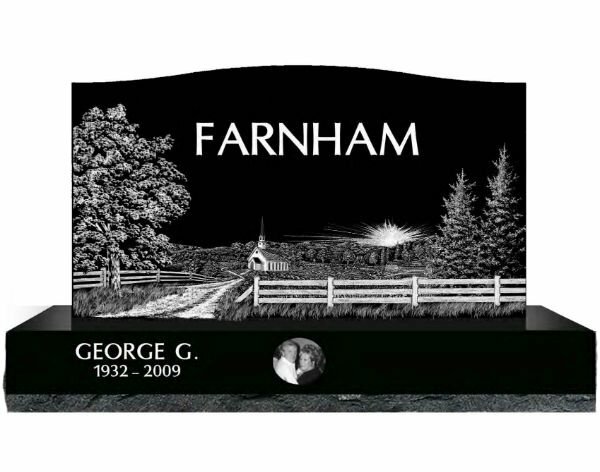 Pay homage to the life of your dearly departed with custom memorial products. Whether you prefer lawn level flush markers or upright family monument, you can count on us. Check out the designs we have to get started. For more information about our products, you can contact us via phone or email. 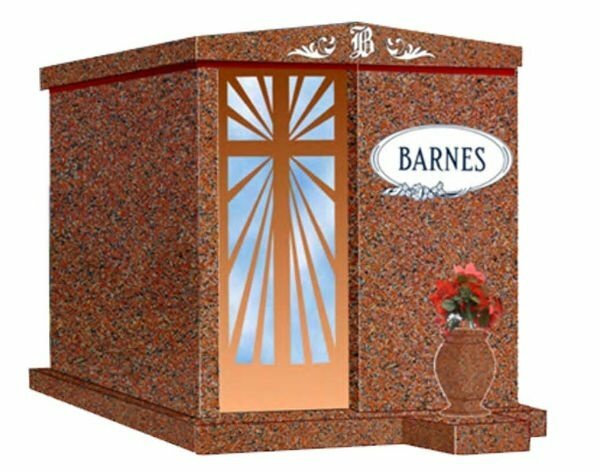 Memories In The Making, Inc. offers a wide variety of memorial sizes and styles to suit every cemetery requirement and family budget. 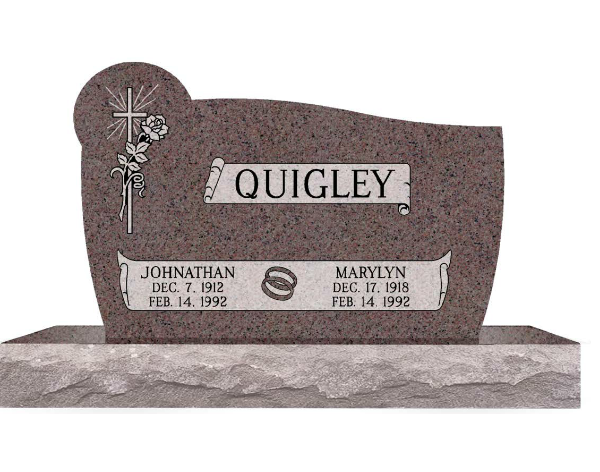 We provide headstones and monuments and offer engraving services for existing memorials. 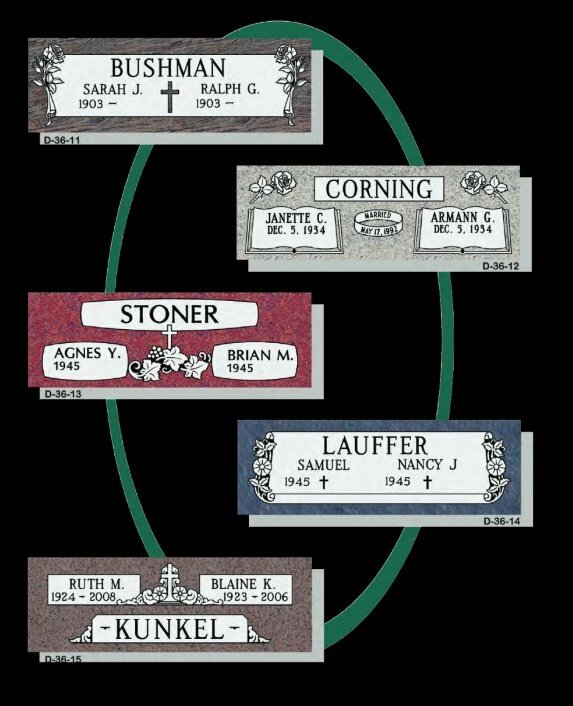 We hope this guide will be helpful in determining which type of memorial you are interested in. Scroll down to view the various options. 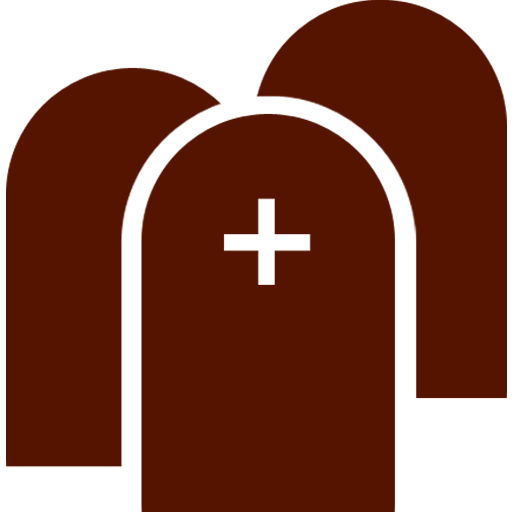 These are also called grass markers or flush markers because they are flat or flush against the grass at the grave site. 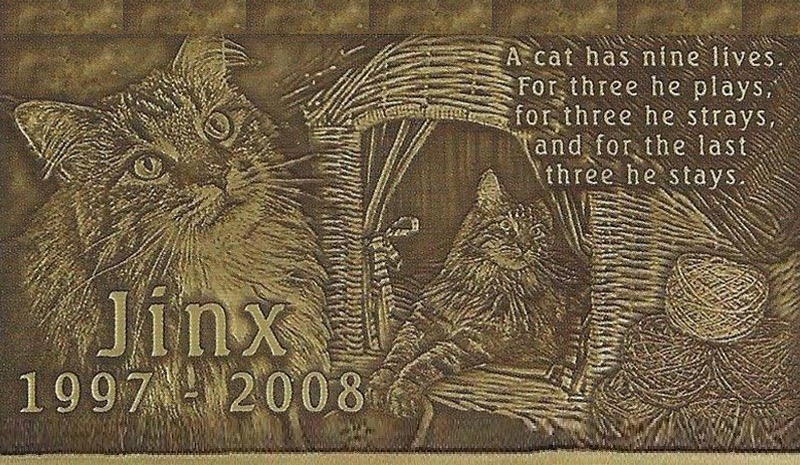 Etchings are typically placed on black stones and may be created by hand with a diamond-tipped tool or with the use of a laser. Etchings may be high contrast black and white, or they may be in color. These are called Bevels because of the beveled or slanted face of the marker. This makes the monument easy to read when standing at the foot of the grave site. These monuments typically display a family name and incorporate multiple ledgers, bevel markers, slant markers, or flat markers to represent individual members of the family. These monuments may be used for family or estate monuments, individual monuments, or companion monuments depending on the arrangement of the inscriptions and placement of markers or ledgers for individuals. It is also a nice way to feature a vase for flowers or a statue. Benches are an ideal way to remember a loved one in a non-traditional setting such as a courtyard or other public areas. Some cemetery lots may be large enough to allow a bench. These are popular companion style monuments and present a nice opportunity for a flower vase or statue. Grave Ledgers are ideal for use with family or estate monuments where individual graves need to be marked. These offer ample room for inscriptions and dates. Ledgers can be created in either Full Size, or Half Size of the grave. They are available in either Granite or Bronze & Granite options. Most of the monuments may be fitted with a cored space in the monument or base for storage of cremains. Some monuments, however, are specially designed for cremains. The small cremation bench and the larger columbarium shown below are examples of two alternatives. Please feel free to visit our online memorial catalog and Idea Book to browse our extensive catalog of designs that are customized for you and your loved ones. You may also try your hand at designing your own monument with our Idea Book. Should you have further inquiries, feel free to give us a call using the phone number listed on this website. Memories In The Making, Inc. provides headstones, monuments, and memorial engraving to the Chicagoland area. Typically, we operate within a 50-mile radius of Chicago. We believe that the memorial you choose to commemorate the life of your loved one should be as unique and personal as the life that has been lived by them, an everlasting footprint on this earth, as unique as their own fingerprint and the lives that they had touched. 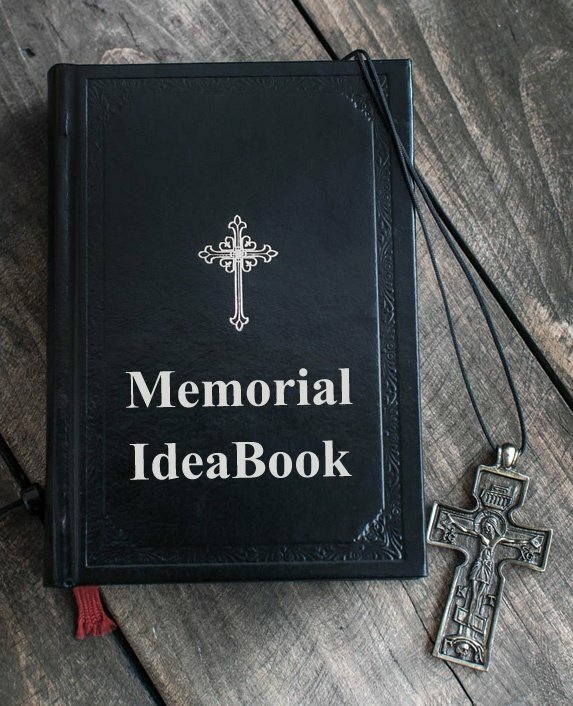 On the following pages, you will find various styles and options of memorials that are available for you to choose from. The artwork on these pages quite often can be mixed and matched to create something truly unique and personal. We offer these designs as a starting point for you to begin creating a unique memory of your loved one. A memory that will transcend the generations. After doing this, please use the contact form for a price quote. 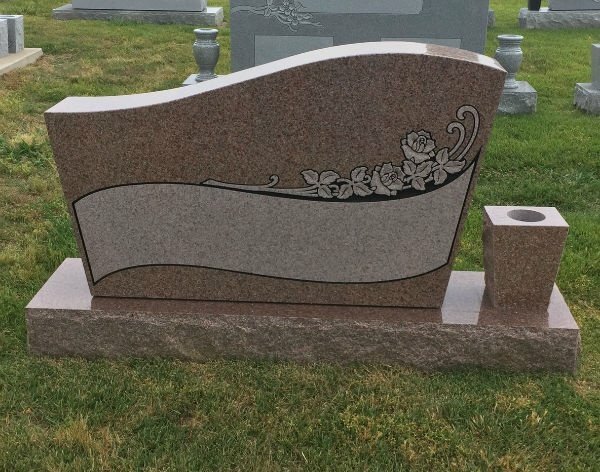 Memories In The Making, Inc. has a wide variety of granite colors for you to choose from for your headstone, monument, or special project. 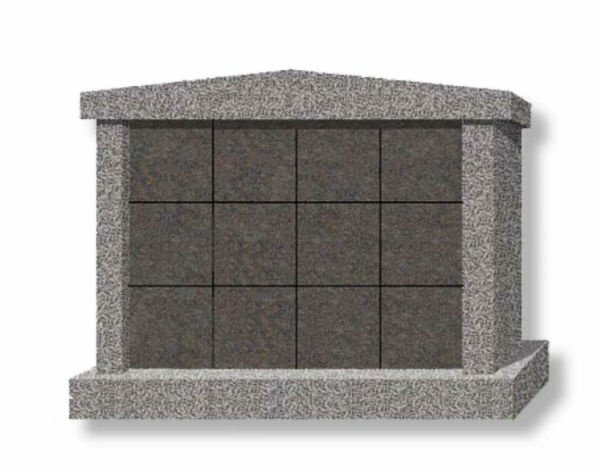 Click here to view our complete catalog of Flush Granite Memorials. *Please note that we recommend that when purchasing Companion Memorial sets, both memorials are purchased together, and lettered as much as possible to maintain the continuity of the memorials. Click here to view our interactive Memorial IdeaBook. Memories In The Making, Inc. offers memorial engraving of your existing pre-selected memorial. 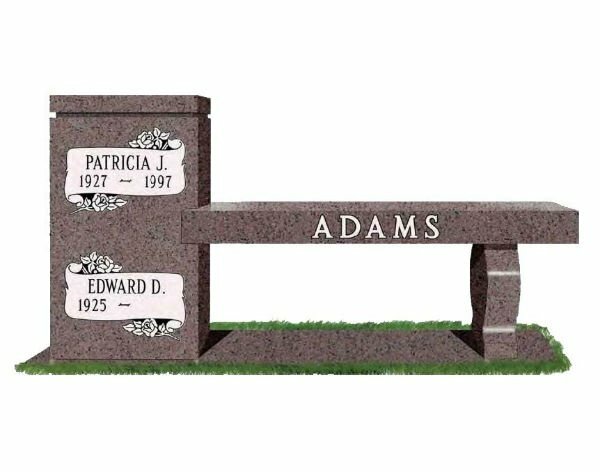 We have the ability to add final dates and additional wording to your families’ existing memorial at any Chicagoland cemetery. In order to get a quote, please complete the contact form. We offer many styles of lettering when creating a new memorial. We are also capable of matching existing lettering styles. In addition to a variety of fonts, we also offer a variety of techniques for carving lettering into stone. This involves different outline treatments as well as different processes for finishing the stone or panel area around the lettering. Here are some samples that may help you with your selection. 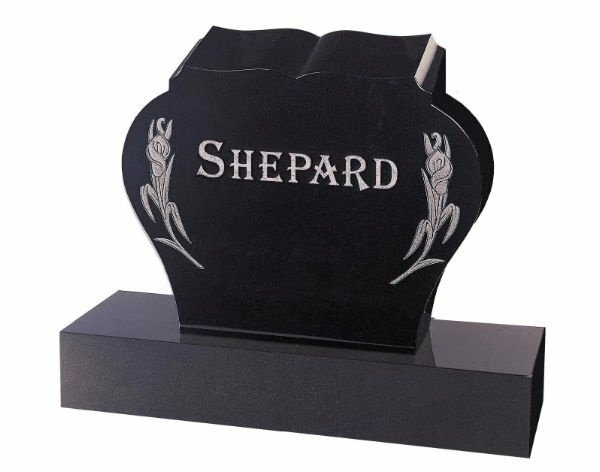 No matter what type of memorials you prefer, trust that our team will provide you with special memorial products that reflect the life and personality of your dearly departed. Discuss your needs with us. We will gladly walk you through the best options suited to your requirements. For more details, you can reach us using the phone number or email address listed on this website. One of the most thoughtful ways you can express your love is through making arrangements in advance. By doing this, your family and loved ones have the advantage of knowing your specific wishes, so that they can avoid hasty decisions and potential financial problems at the time of need. When you need funeral and cremation plans, turn to Memories In The Making, Inc.
Do you really feel good about last-minute decisions concerning important matters? Memories In The Making, Inc. can assist you with securing your desired Funeral and/or Cremation Plans in advance. We are able to provide you with an Irrevocable Funeral Trust, Funeral Insurance Policy, or a Final Expense Plan. We understand that not every family falls into the same “Off the Shelf” plan, so we are flexible and will assist in determining which option is best for you and your budget. Do you really feel comfortable with decisions that are made under severe stress? Do you really feel right about decisions concerning your private matters being made by others? Find out just how easy it is by requesting additional information, without cost or obligation. Simply request your information today. You’ll never make a wiser or more loving decision for your family and yourself. If you want something done right… then, do it yourself! Since 1990, Glenn Cygan has actively been a Funeral Service Professional. He holds several licenses and certifications that allow him to educate and assist his clients with Advance Funeral & Cremation Planning. One of those certifications is the Certified Planning Consultant designation. The primary purpose of the NFDA Certified Preplanning Consultant (CPC) certification program is to promote and enhance ethical obligations, service to families, and compliance with laws and regulations affecting the funeral consumer, and to establish the highest standards of professional excellence through voluntary certification. No one knows what tomorrow will bring, which is why it is important to always be prepared no matter what happens. Take advantage of our funeral plans. We guarantee to provide you with comprehensive plans suited to your preference. Book an appointment with our funeral service professional to get started. Call us to learn more about the products and services we offer. You’ve shared so much together. Happy times. Quiet times. 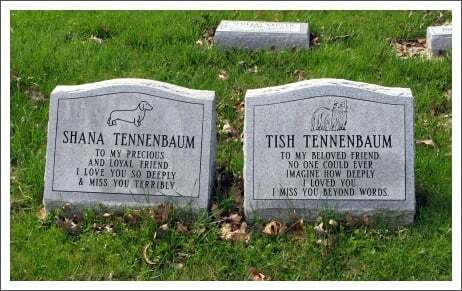 The friendship the two of you have developed over the years simply won’t be forgotten after your animal companion passes away. 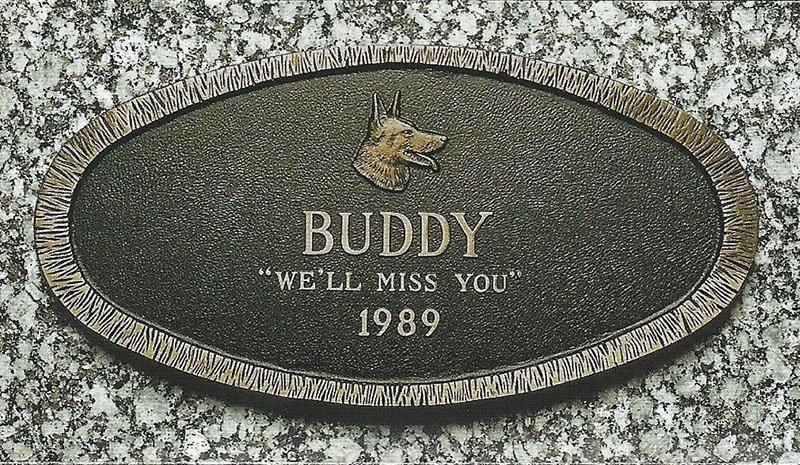 You’ll want to commemorate that special bond, just as you would any other loved one, with a high-quality memorial from Memories In The Making, Inc.
Our superb collection of pet memorials, crafted of the finest granite and bronze, allows you to select the appropriate marker design, bronze emblem, and inscription message for your beloved pet. We are able to offer you the options of photo ceramics, laser etchings, and bronze bas-relief sculptures all which preserves forever that friendly face. Your beloved animal companion deserves nothing less than calling us. You know your pet better than anybody else. 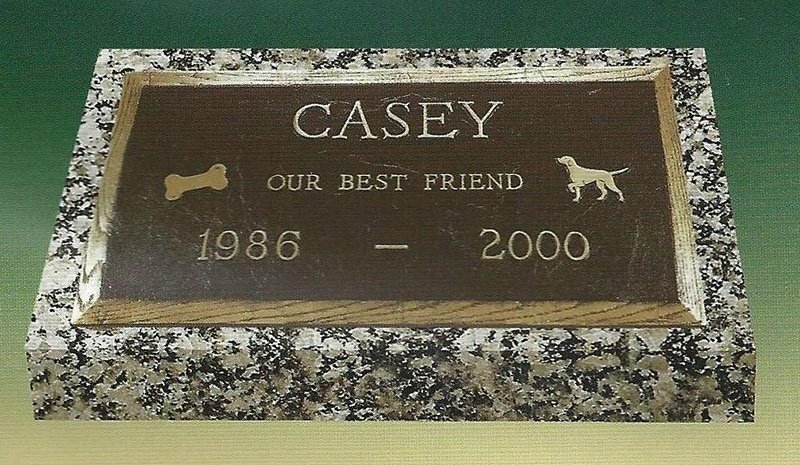 This is why we make sure to provide you the freedom of choosing the marker design, bronze emblem, and inscription message for your animal companion’s memorial. 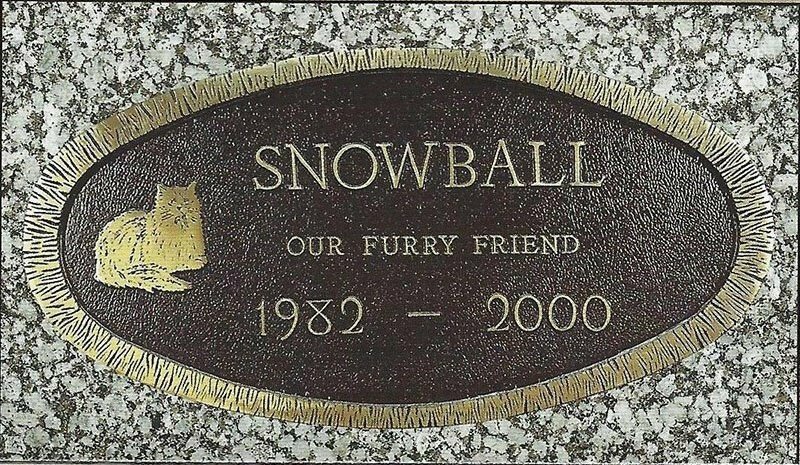 Learn more about out custom-made pet memorials by calling us using the phone number listed on this website. Fill in the form below to request our pet brochure.